“Connections” is an after work experience for yourself, friends and even colleagues. 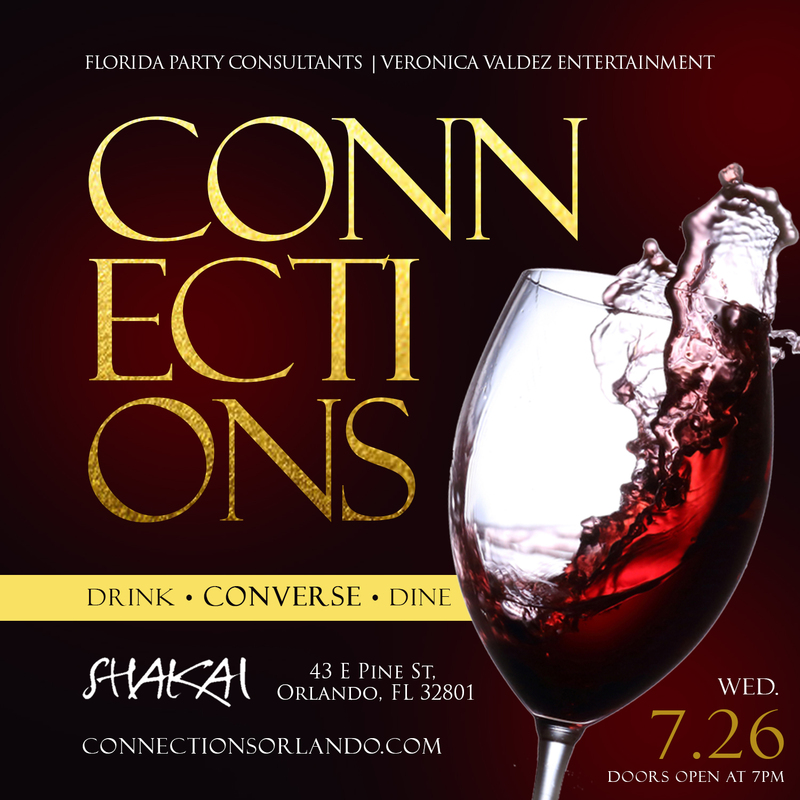 This is a special time to dine, converse, drink and laugh while in the presence of great people and a great environment. 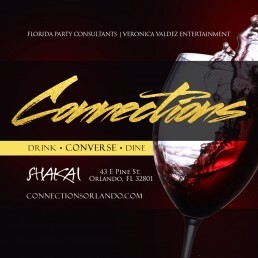 With the best music, $15 unlimited wine and beer specials, 2-4-1 Happy Hour starting at 9pm and the best food in town provided by Shakai Lounge, you will not be let down. 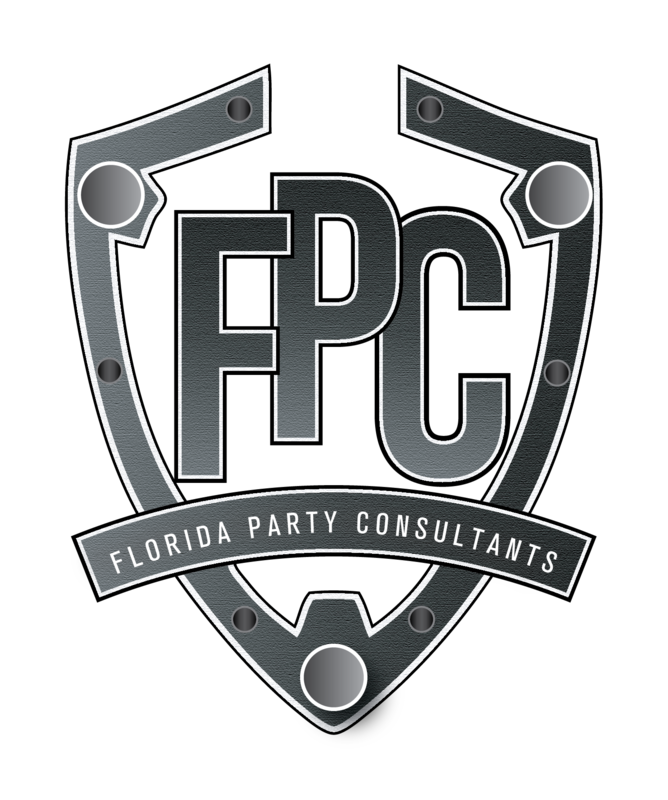 Please make reservations below and for special birthday arrangements please make a reservation and then contact Dexter@FloridaPartyConsultants.com. We look forward to seeing you there!